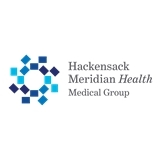 HMH Medical Group Primary Care, Brick (Brick) - Book Appointment Online! Please note, doctors do not treat patients under the age of 18 years. NEW PATIENTS PLEASE CALL OFFICE TO SCHEDULE. Our doctors do not treat for pain management. Excellent... very professional, takes time to listen to your concerns !!! Highly recommend! As always Dr. Ilkhani was great. She asks questions and listens to what my concerns were. She is always professional and compassionate.